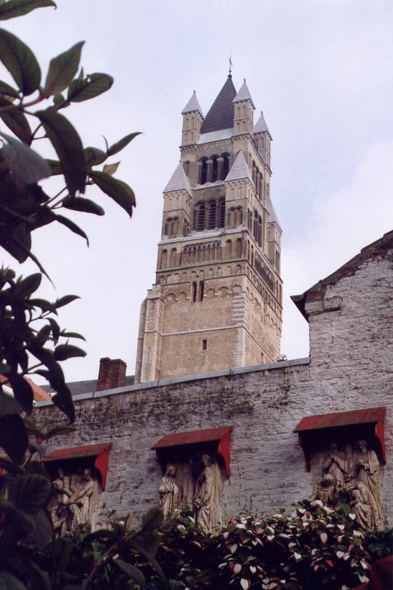 The Saint Salvator cathedral (St-Salvatorskathedraal). On a shaded square draws up this imposing Gothic building, out of brick, flanked ofa 99 metres high tower. Started at the 10th century by the tower, it often burnt and finished only at the 16th century by the vaults of the choir.